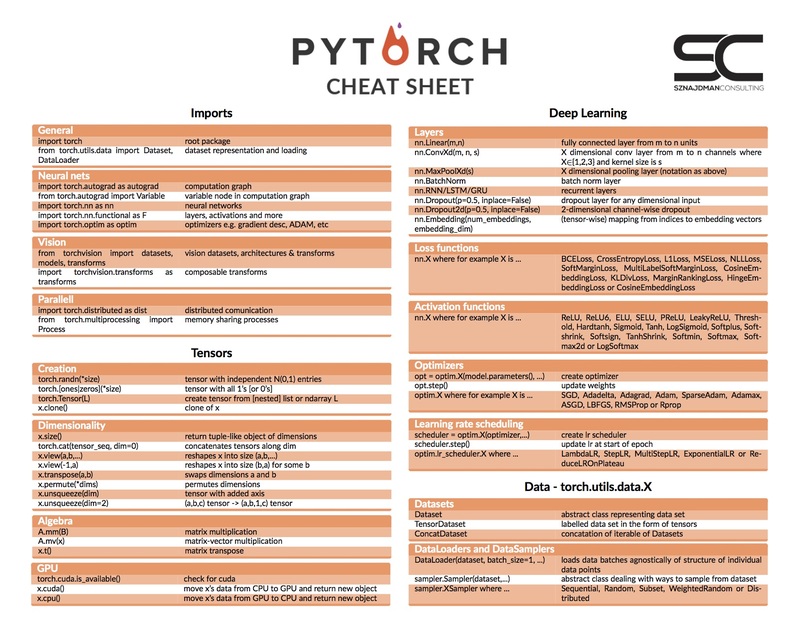 As I am currently exploring PyTorch – a superb library for training deep neural networks – I found it useful to have a cheat sheet around. After not being able to find one, I decided to dust off the good old LaTex and make this cheat sheet and share it with you. Enjoy!